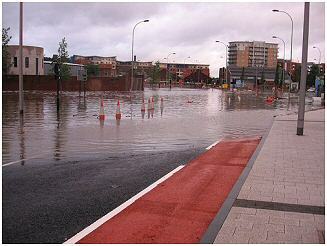 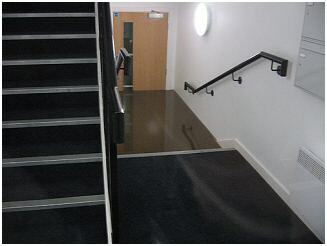 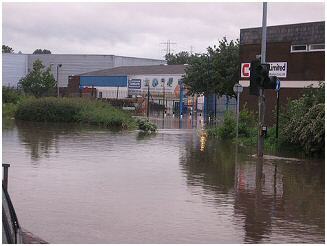 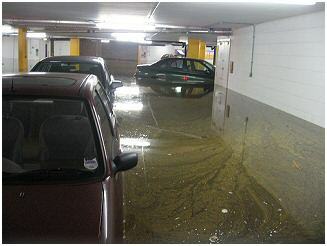 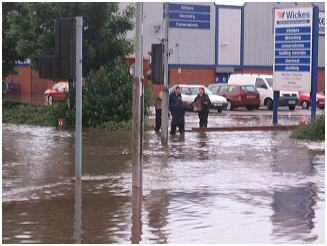 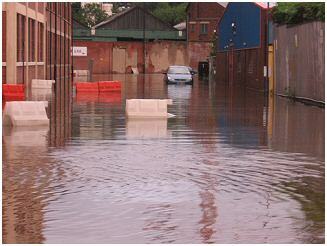 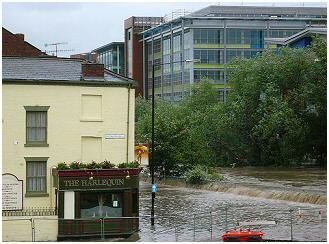 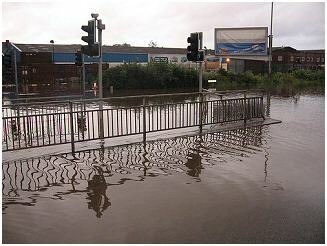 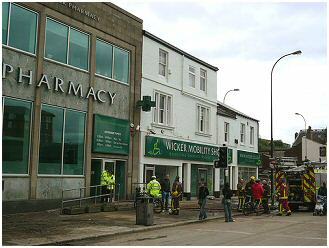 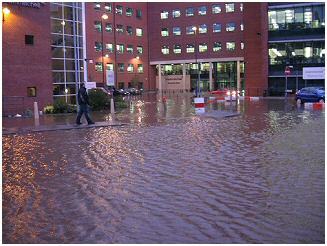 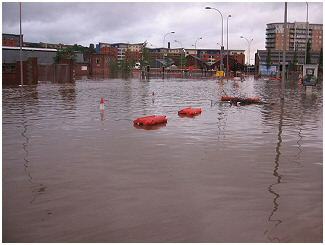 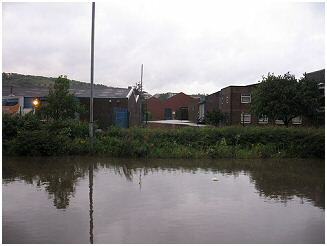 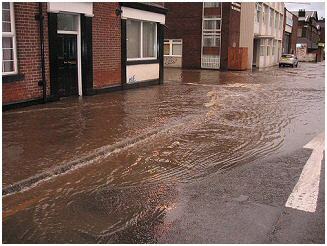 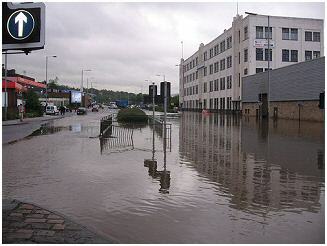 The massive Sheffield downpour in June 2007 caused the biggest civil disaster in recent times. 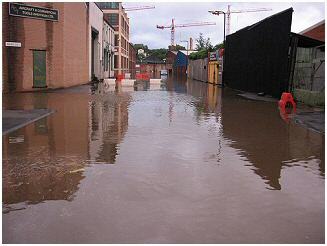 It affected everybody and I think it is very important to record it. 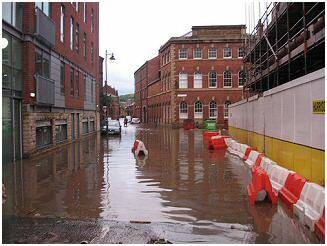 I hope as time passes this collection of images becomes an important historical record of the impact of the floods. 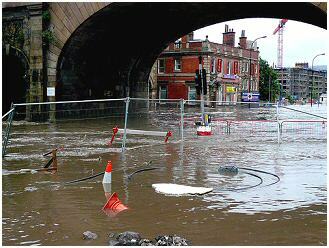 I would like to thanks all those people who have made this photo-chronicle of the floods possible. 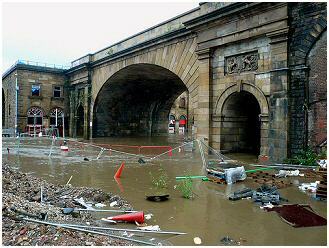 Keep your images coming please. 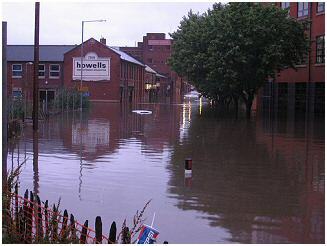 Shalesmoor and Irwin Mitchel under water. 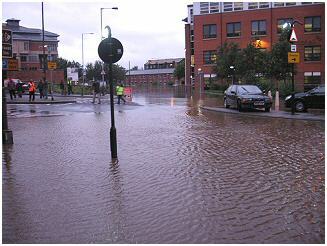 This is Penistone Road near Rutland Rd. 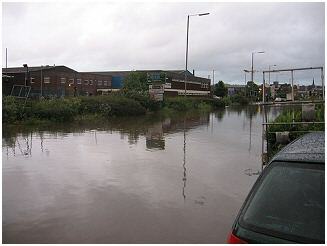 Shalesmoor area. 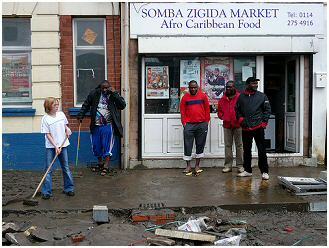 Photos: Chris Iddon. 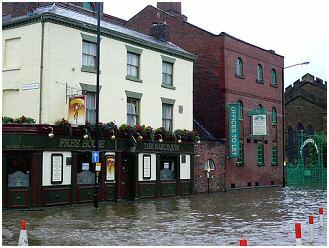 The Harlequin public House on Nursery St.